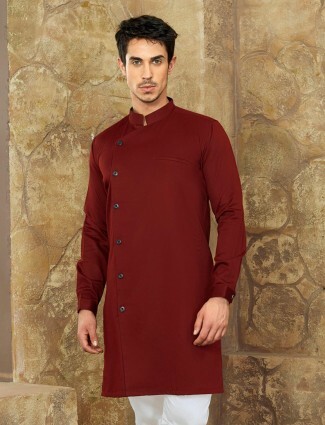 If you are one of those who do not like the length in which the regular kurtas come in, then the short men kurtas are definitely for you. 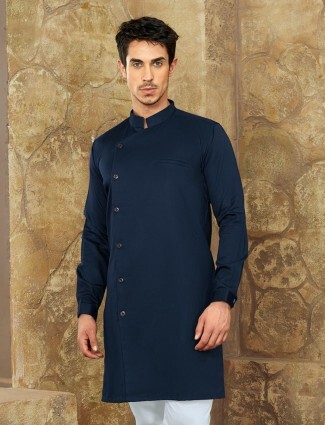 At G3+ we have numerous short kurta designs for men who are looking to sport something smart and yet traditional. 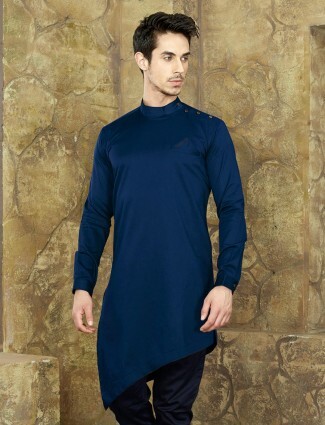 The mens designer short kurta can be teamed up with jeans or your trousers. Only thing you need to ensure is the colour combination. Rather than wearing similar colour bottom and a kurta, you can wear contrasting colours so that you cut across a striking picture of the combination you are wearing. 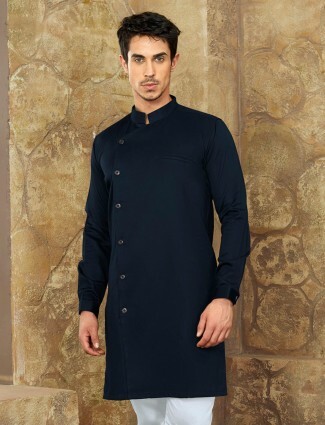 Designer short kurta for men are an ideal option when you are attending a wedding or a reception. 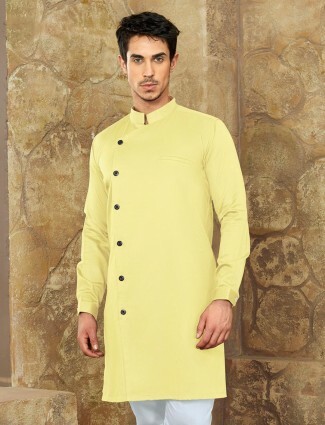 Short Pathani kurta is ideal when you are attending a puja or going to a temple or visiting someone’s house too. It is just an ideal choice for festive events and casual events too. You can exude only oodles of charm when you are wearing the short kurtas. Not that you cannot look good when you are wearing long ones but, the short one always makes one look laid back and relaxing. At G3+ fashion we understand the different occasions people may have to attend. In keeping with the needs of such nature we bring forth to you a vast collection of ethnic wear that is not only trendy but also brings in great comfort levels. Whether you are looking for short sleeve kurta or khadi kurtas or kurtas in polysilk or pure cotton kurtas…we stock them all. 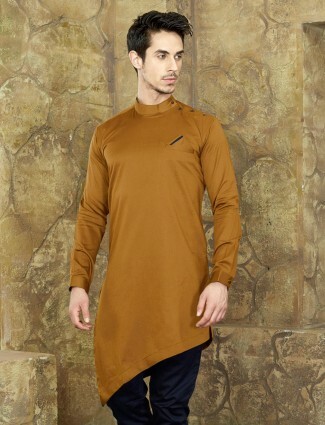 Check out our short kurta designs for men. You can add a touch of style to your men short pathani when you couple it with the right jacket. Yes, short kurta with jacket is a popular choice by politicians too. Short kurta for men online shopping is indeed great fun at G3+ Fashion.